The mission of Nancy Nolet is to be the premier Real Estate Resource in the Greater Baltimore area and to have a positive impact on all aspects of our business. To build a successful Real Estate business, not just as an end in itself, but in order to enrich the lives of our clients, family, friends, & colleagues. When you work with Nancy, it's anything but business as usual. Right from the start, home buyers and sellers alike experience their unique personal service and attention to detail. The overall goal is a stress-free, enjoyable experience. When you're considering a home purchase or sale in the Baltimore area, put your trust in professionals who produce outstanding results. My focus is on maintaining the trust and loyalty of my clients & associates by building lasting relationships with the highest level of customer service. I concentrate all of my efforts toward understanding, anticipating, and satisfying their needs and expectations in a timely, cost-effective and value-added manner. I pride myself on listening, educating and guiding those I work with so that they can make a decision that is right for them. 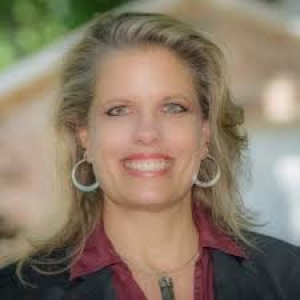 Nancy Nolet combines a personal style of service with market expertise to help you achieve your real estate goals. Call Nancy Nolet today and experience that The key to Living Life to the Fullest Begins at Home! Nancy Nolet is proud to serve the real estate needs of residents in Baltimore, Maryland, and surrounding areas. Sold a Condo home in 2017 in Laurel, MD. We moved into Maryland from out of state, and over the course of 2 months, Nancy was wonderful in helping us find the perfect home for our family. While we were away Nancy did everything to make our trips into town fun and productive. We would recommend her to anybody in need of a realtor. Bought a Single Family home in Phoenix, MD. Bought a Townhouse home in Remington, Baltimore, MD.